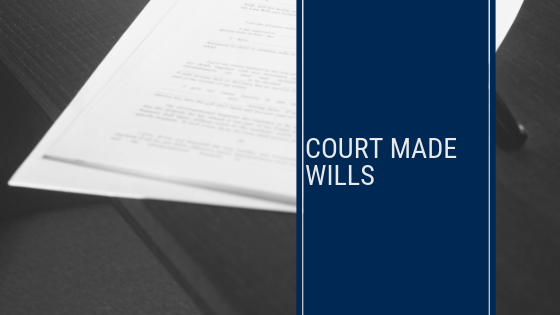 The court may authorise a will to be made, altered or revoked for a person without testamentary capacity, under Section 21 Succession Act 1981 Qld. This 2006 amendment to the Queensland Succession Act is a welcome addition. For example, the court may now order a will for a disabled child to prevent the estate of the disabled child going to a parent who has had nothing to do with the care fo the child for several years or may very well be the one who caused the child to be disabled. Quite often a disabled person lacks the ability to do a will. If that person dies their estate will go to certain persons specified in the Succession Act to receive the estate. This could mean that person’s estate simply goes to the state government. An application to the court for a statutory will can avoid unfair outcomes of a person who dies without the ability to do a will. If you are the carer or the parent of a disabled person, you should seek advice if it would be helpful for an application to be made to the court for a statutory will. The Courier Mail has reported on this in recent times.